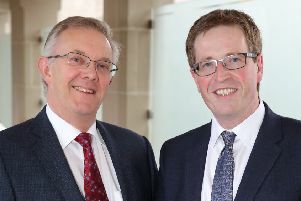 The Dairy Council for Northern Ireland has announced it has secured European funding which will allow it to undertake export support and sustainability programmes with a value of €3,373,000 both at home and abroad over the next three years. Funding for two of the programmes will be to support the promotion of dairy product exports to countries in the Middle East and Southeast Asia, while funding for the third programme is for a joint programme that will run through the European Milk Forum to promote the dairy industry’s sustainability. Dr Mike Johnston, Chief Executive of the Dairy Council for Northern Ireland, explained the detail around the funding: “Based on the success of the Dairy Council’s current Third Country Export Programme, we applied for further funding to continue our work in supporting dairy product exports in two key regions. “Approval of €1,117, 325 has been given for work in the Middle East, particularly in Saudi Arabia and UAE while €1,953,127 has been allocated to work over three years in seven countries in Southeast Asia. “Additionally, €303.3k of funding has been approved by the European Milk Forum to fund a three year sustainability programme. The sustainability programme, which is a joint programme involving NI, Republic of Ireland, France, Belgium, Netherlands and Denmark, will have a number of elements including the production of an annual Fact Book, annual research to monitor public attitudes, an annual symposium, farm visits and social media engagement to demonstrate how farmers manage and look after the environment. “We have had great success to date with the export programme that has run over the last three years. Indeed, we have been able to demonstrate export sales of Northern Ireland dairy products of almost £7m as a direct result of the programme. We are delighted, therefore to be in a position to continue with this work,” said Dr Johnston.